Per Fugelli (1943-2017) was a Norwegian doctor, a professor of social medicine and a forceful voice in the public sphere. In his view, the health of an individual is to a large degree dependent on social relationships. Fugelli spent his life addressing questions of freedom and respect, campaigning for rights of the less fortunate. Fugelli was first diagnosed with cancer in 2009. In 2015 he said no to further treatment. In the final phase of his life, he challenged the taboo of speaking about death by writing books about his own struggle with fatality. He also allowed his close friend, director Erik Poppe to follow him as far as possible on this journey. The result is an intensely beautiful film filled with gripping solemnity and warm laughter. A film about life and how to live it. In a sense, a prescription. Erik Poppe (born 24 June 1960) is a Norwegian film director, screenwriter and former cinematographer. Poppe started his career as a photographer for the newspaper Verdens Gang (Norway) and Reuters, covering domestic news as well as international conflicts all over the world. He was awarded by the Norwegian press association and World Press Photo. He graduated as a cinematographer at the Dramatiska Institutet in Stockholm, Sweden in 1991 and have conducted several artistic and directorial research programs between 2001 and 2010. Since 2011 he has been a research fellow as a part of the Norwegian Artistic Research Programme and a Associated Professor at HIL, Lillehammer University College/The Norwegian Film School. He worked as Director of Photography on several features, as well as EGGS by Bent Hamer . Erik Poppe was awarded with the Kodak Award at the Moscow IFF (1994) and won the Cinematographer of the year award in Norway in 1995. The same year as he announced his end of work as Director of Photography. Erik Poppes directorial commercial works has awarded him with several Clios, Lion in Cannes, EPICA, EuroBest and several national awards. Troubled Water from 2008 (aka deUSYNLIGE) is the third part of his multi-awarded Oslo Trilogy, after his directorial debut with Schpaaa (aka Bunch Of Five) in 1998 and Hawaii, Oslo in 2004. His trilogy has participated in key festivals, and received prizes such as the Berlinale - Panorama, The Vesuvio Prize at Napoli International Film Festival, Norwegian entry for Best Foreign Language Film, Festroia in Portugal for Best Directing, Silver Dolphin in Festroia, Nordic Ministerie Councils Award for The Best Nordic Feature, ecumenical awards and several other prizes. Troubled Water made history at the Hamptons International Film Festival (New York) in 2008 by being the first feature ever to win both the festival's Golden Starfish for Best Narrative Feature and the Audience Award. A Thousand Times Good Night (aka Tusen Ganger God Natt) is his first English- language film. It opened in Norway in October 2013 and had it's international release during 2014. The film is partly an autobiographical story, based on Poppe experiences as a war photographer and the conflict between your passion for your work and your family back home. Poppe switched the lead roles around so that it is Juliette Binoche who is his proxy, and Kingslayer Nikolaj Coster-Waldau playing the character based on Poppe's wife. A standing ovation greeted Montreal's world premiere of the film, which went on to earn the jury's Special Grand Prix. 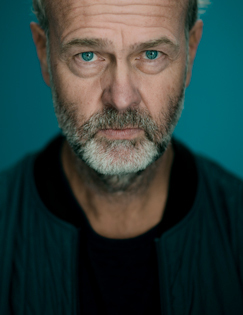 Erik Poppe received the Norwegian Film Critics' Award for both Hawaii, Oslo in 2005, Troubled Water in 2009 and for A Thousand Times Good Nigh in 2014 - as they all were voted as last year's Best Feature. He is the only one to have received the price three times. 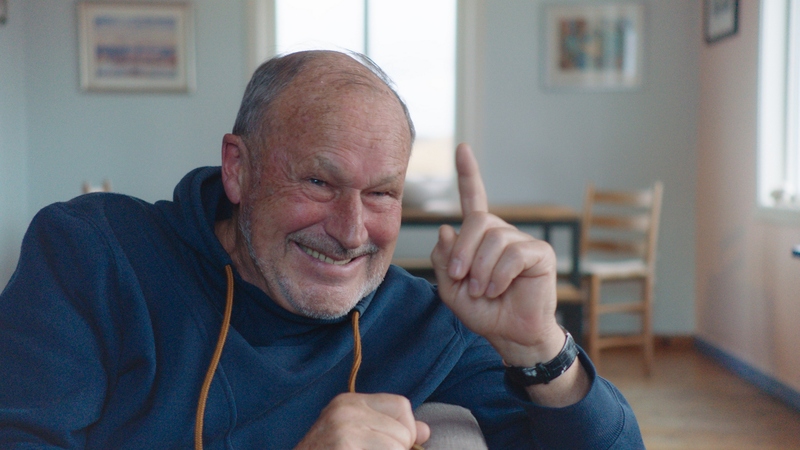 Poppe is probably the only director in Norway who have showed the ability to hit both the critics as well as the audience, taking high admissions in domestic release. His Oslo Trilogy as well as A Thousand Times Good Night has been sold to over fifty territories worldwide. Poppe was also the key director for "Brigaden" (The Brigade) in 2002. A 26 episodes TV-drama for NRK (The Norwegian Broadcating Corp.). Brigaden received the Norwegian "Amanda" Price for the Best TV-drama in 2003. Poppe is among Scandinavia's most experienced and compelling directors. He makes impeccably well crafted multi-pronged narratives built around strong ensemble casts, sharp writing, impressive camera work and an uncanny knack for rhythm and music in the editing.